Artemisia figida is native to the Rockies, and adjoining states, the plains and through to Canada and Alaska. The Fringed Sage is both drought and cold tolerant. Artemisia frigida has done quite well in our gardens. The Fringed Sage has made a slowly spreading mat 12" tall and spreading to 3 feet wide. The flowers of Artemisia frigida are nice while blooming but look pretty ratty once they dry, so I cut them off in late Spring. Aside from the annual trim the Fringed Sage is pretty low maintenance and easy to care for. 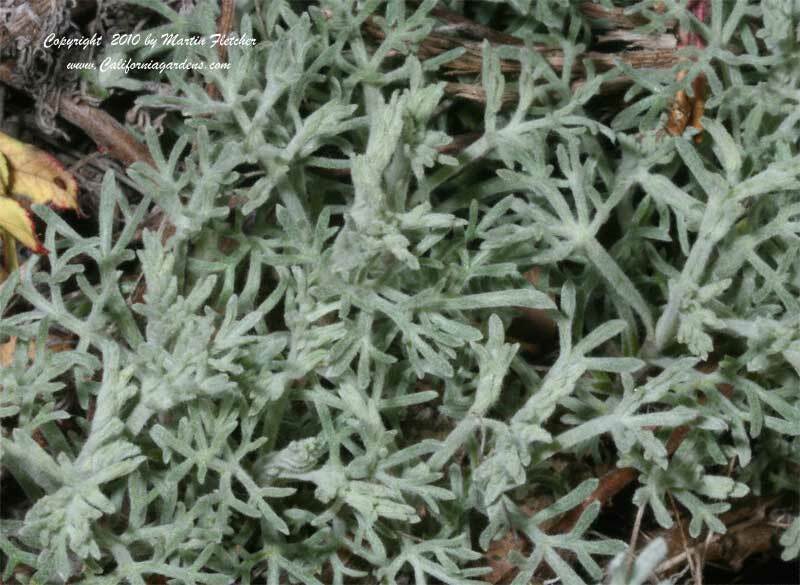 Artemisia frigida will go partially dormant through the Winter but in our area it comes back quite early. Grey foliage of Artemisia frigida the Fringed Sage, or Prairie Sage. High resolution photos are part of our garden image collection.